Experience the revitalizing effect of a Rocky Mountain, Estes Park cabin at The Evergreens on Fall River. You'll enjoy the beautiful ambiance of our cabins overlooking the river. Choose from one- and two-bedroom cabins with an optional jetted tub for two. Our cabins are the perfect get–away for families, romantic couple's retreats and special occasions. While experiencing our Estes Park cabins, there is no reason for you to miss out on the comforts of home. Our cabins offer equipped kitchens with dining area, living rooms with gas fireplaces, private decks and couples private spas, all with river views. 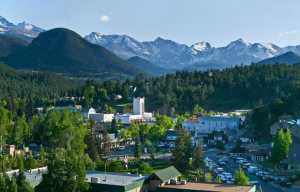 There are plenty of things to do while staying in our cabins in Estes Park. Take a dip in our outdoor hot tub, eat outside at the flagstone picnic table, take a scenic walk, fish the Fall River, swing under the gazebo or just relax in the hammock. Back in your cabin, enjoy free wireless internet, HBO or even borrow a movie from our collection at the front desk. 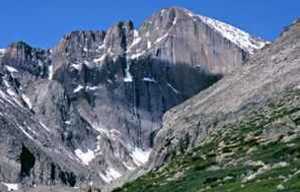 Get more from your Rocky Mountain National Park cabin rental with The Evergreens on Fall River. 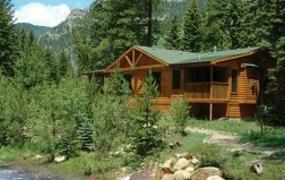 Book your stay in our Estes Park Colorado cabins today. The Evergreens on Fall River is conveniently located only 1.5 miles from Rocky Mountain National Park and just 3 miles from downtown Estes Park.